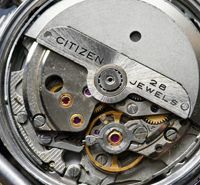 ← My Most Accurate Timepiece…..
I’ve just added – finally! 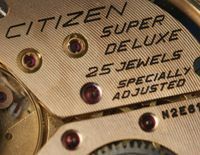 – a new page listing all the case material codes that Citizen used up to the late 1970s. It’s as comprehensive as I can make it, but there may be more codes out there, which I can add of course if they can be verified. 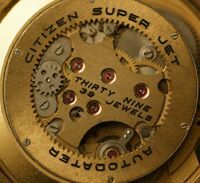 Some of the codes are obscure and very rare – I’ve not ever seen quite a number of them. It looks like some were used for only a short while when new materials were first used. 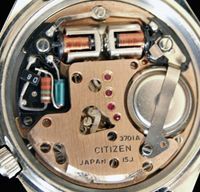 For example ‘TI’ was used for cases and bezels made from titanium carbide, but this was replaced fairly quickly by ‘UHA’ – Ultra Hard Alloy. Maybe this was to avoid any confusion between ‘TI’ and Titanium, which was first used in 1970. 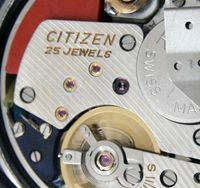 This entry was posted in Vintage Watches and tagged Citizen Vintage Watch Case Material Codes, Vintage Citizen Case Back Markings, Vintage Citizen Watch. Bookmark the permalink.